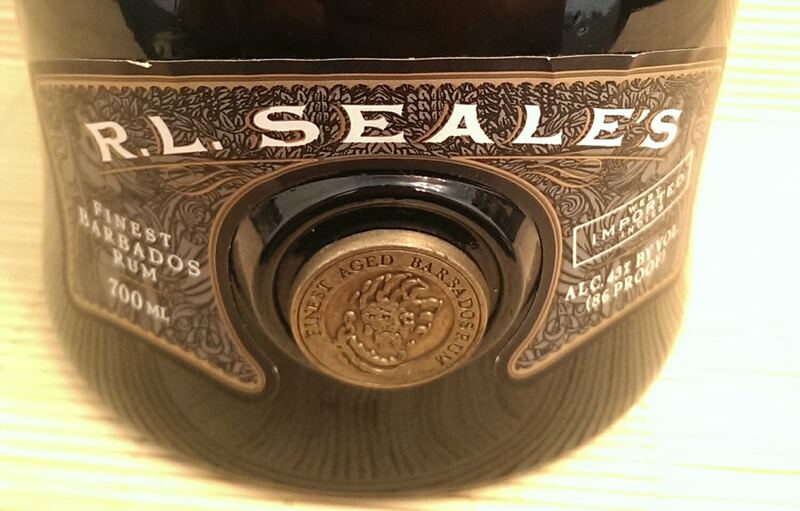 A relatively short one today as this is a re-review of sorts…..R.L Seale’s Finest Barbados Rum, or R.L Seale’s 10 as I’ve previously called it and how others know it has been around for a while and for me has been one of the most classic examples of Barbados Rum available. Numerous members of the Rum Community have sung its praises on multiple occasions….in fact I’d rate it on any list of ‘must have’ bottles for Rum lovers both new and old. You can read my rather basic summation of the bottle in its previous 43% abv guise here. You only have to scroll through the pages here to understand the high regard in which I hold Foursquare Distillery……But let’s dig into it. What you have in the quite unique and very recognisable blue-bottle is a Single Blended rum. A blend of Coffey Column and Pot Still rum from Foursquare Distillery. It is a minimum of ten years old and has been matured in ex-bourbon barrels. It is a Classic Foursquare proposition and one that I enjoyed multiple bottles of in its 43% iteration. I was quite excited to see it released as a 46% products, I had no real issue with it at 43% as it always delivered just what I was looking for….classic Barbados. But it’s always nice to get that little uplift to see how it affects the overall experience and Richard is not one to do these things on a whim, there will have been thought and reasoning behind it. I had forgotten about this bottling for a while, as if often the way. But over the course of the past few months I have found myself reaching for it more and more frequently….so I thought that a re-visit was on the cards. 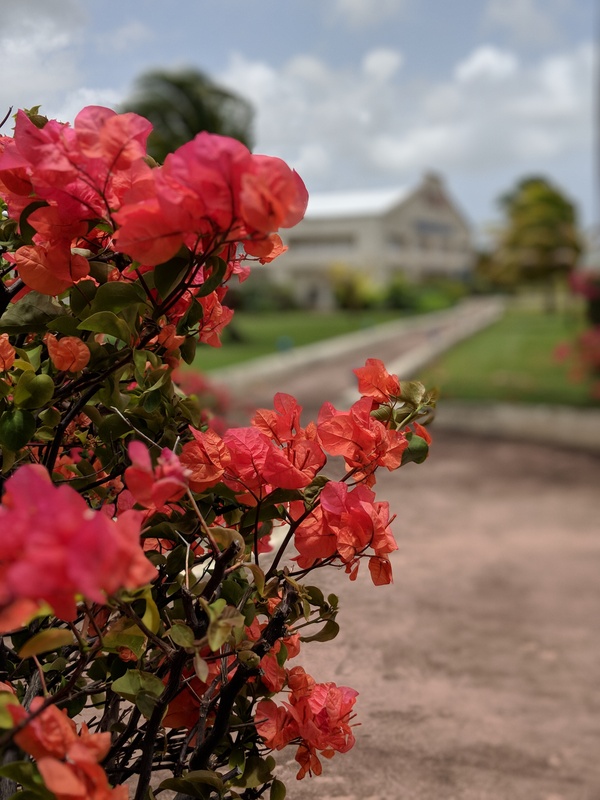 Nose: Classic Foursquare and classic Barbados. Vanilla. Caramel. Buttery pastries. A warming, well-integrated yet spicy wood influence. Growing powdery cocoa and a hint of coconut. The oak brings a touch of black pepper and nutmeg. A hint of raisins and citrus peel. More time in the glass reveals freshly cut apple, sugared almonds and the mildest floral top notes. Beautiful stuff. Mouth: Beautifully dry entry but along with the obvious oak and vanilla it brings a sweetness of coconut and milk chocolate. Raisins and mixed fruit peel. Maybe a touch of citrus oil. The mid palate is all about the commanding oak. It is very drying and brings with it some welcome spice notes like cinnamon and white pepper. Flamed orange oils. It also brings a buttery pastry like quality and a hint of almond tart. Warm crème brûlée. The finish brings a little crisp apple and some raisins, maybe juicy plums before the oak and particularly the warming spiced barrel notes lead you off into the sunset. Classic Foursquare peach vapours at the death. It is both robust and gentle whilst remaining approachable. I had decanted and saved a small bottle of my 43% release at there was crossover with this release. Assessing it side by side I note that there does not appear to be as much caramel colour added to the new release…it is more of a straw gold…don’t let the image fool you. I also noted that this 46% release is not as wood heavy on the nose or the palate and its better for it. It just delivers more of everything…..and here’s the real killer….it is still available for between £35 and £40 in the UK. Things are changing for Foursquare though, they are very much in the ascendancy with the Exceptional Cask Series and their collaborations with Velier….but this exposure and acclaim has been earned by producing such consistently good releases such as R.L Seale’s, the Doorly’s range and my particular favourite, Old Brigand. This bottling remains as classic an example of Barbados Rum, and Foursquare Distillery as you’ll find. © Steven James and Rum Diaries Blog 2019. Unauthorized use and/or duplication of this material, both written and photographic without the express and written permission from this blog/sites author and owner is strictly prohibited. Excerpts and links may be used, provided that full and clear credit is given to Steven James and Rum Diaries Blog with appropriate and specific direction to the original content. We’re back into it with another Foursquare. Some bottle hunters are seeking the ‘unicorn’ Exceptional Cask Release I, more commonly known as Foursquare 1998. Bottles are rare with Gayle Seale herself having to pick them up from property auctions in Barbados. They do exist in the wild but sightings are rare and can be very expensive. So what we have here in this Paulsen Collection bottling is that very same ‘unicorn’, but perhaps without the rainbow mane and golden horn…..maybe just dressed as a regular old horse. It was available until recently quite readily and I believe it may still be available in Europe. I gained a bottle a while back as a present from my wife, I then subsequently picked up another 2 bottles from Richard Blesgraaf over in Holland. Less than 50 Euros per bottle I think. 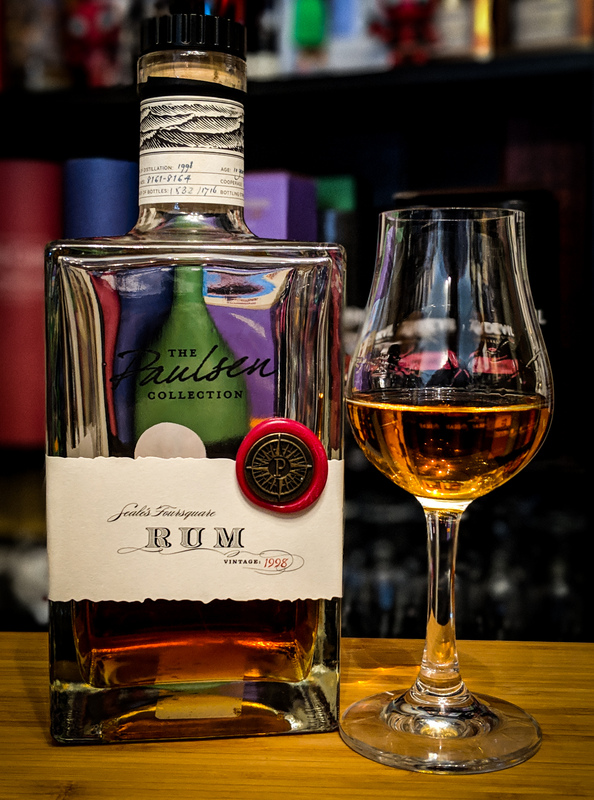 Now you will be fully aware reading these pages that I enjoy Foursquare Rums, a quick click here will link to quite a few articles on their products to get your juices flowing about the place. Anyhow, let’s get into it. This Rum is, amazingly, the product of only the Coffey Column Still at Foursquare Distillery. Distilled in 1998, this Rum was matured in ex-bourbon barrels for around 8 years. It was then decanted, reduced to around bottling strength and then re-barreled for an additional 2 years of maturation totaling a minimum of 10 years tropical maturation. Presented an a heavy based square edged glass bottle with a cork closure and wax seal on the label it certainly looks the part….if that kind of thing matters to you. Nose: Classic Foursquare profile on the nose…..Vanilla, butterscotch and a beautiful marshmallow note. Peppery and well-integrated oak lays down a solid foundation for the sweeter notes to play off. A touch of dried fruit and powdery cocoa appear given time. Relatively simple and straightforward nose to this Rum, but quite enjoyable. Mouth: Lightly sweet and far more complex on the palate. Initial vanilla and cocoa give way to a drying and quite punchy oak that scatterguns fresh fruity peppercorns and charred, spicy barrel notes. A little banana chip and dried coconut sits alongside cocoa nibs and fresh, zingy ginger juice. A medium length finish carries the oak, vanilla and cocoa into those familiar peach vapours at the back of the throat. You sometimes have to remind yourself that this is the product of the Coffey Column still only…..nothing from their pot still. Whilst it lacks a bit of heft on the palate, I can think of no better rum to adequately display just how effective the creation of Aeneas Coffey is when in the right hands. I was going to conclude this review by saying that this Rum was very much of its time, and it’s amazing to see how far things have moved on since it’s release in 2008. 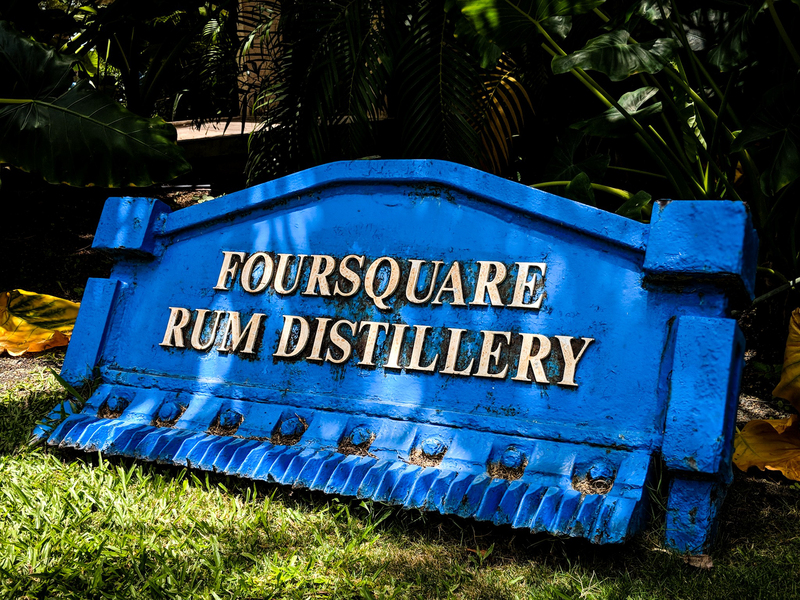 Not just in the Rum world in general but in the output and confidence of Foursquare Distillery. But the truth is, released today, maybe at the island abv of 43%, it’d fly off the shelves. It’s like a more mature Old Brigand, proper enjoyable, even if it’s not the most complex offering. Column Still Rum never tasted so good. This whole post could technically be over very quickly as any one that follows my Twitter or Facebook accounts will know that whenever the question “can someone recommend a rum for me to try?” gets asked, R.L Seale’s 10 ALWAYS forms part of my answer…..so really, you all know my thoughts on this bottle, and to a lesser extent, my thoughts on anything that comes out of Richard Seale’s wonderful Foursquare Distillery. But “R.L Seale’s 10 is great” doesn’t make a very good read, so I’ll attempt to provide my thoughts on just why I’m a fan…..
My Foursquare Distillery collection dominates my Barbados Rum shelf as on there you’ll find R.L Seale’s 10, Doorly’s 3, Doorly’s 5, Doorly’s XO, Rum Sixty Six, Foursquare Spiced, Bristol Classic Fine Barbados Rum Foursquare 2003, a small plastic taster bottle of E.S.A Field, Taylor’s Velvet Falernum and a bottle of the quite magnificent St Nicholas Abbey 10. I first saw the name Richard Seale in print within Dave Brooms 2003 book “RUM”….the paragraph was talking about controlling heat during fermentation and it covered semi-continuous fermentation and more specifically, the closed, cooled fermenter that Richard uses…. Briefly looking online there are numerous sources and ridiculous amounts of articles about Richard Seale and his Foursquare Distillery and terms such as “legend” and “finest rum producer” are used with reckless abandon…..I’ve never been fortunate enough to meet Richard (hopefully that will be rectified at Rumfest, and hopefully he’ll be clutching a bottle of Doorly’s 12), but judging by the articles that I’ve read about the high regard in which he is held, along with the considered arguments, razor-sharp wit and dry sense of humour on display via social media, Richard Seale comes across as a man who possesses great integrity. 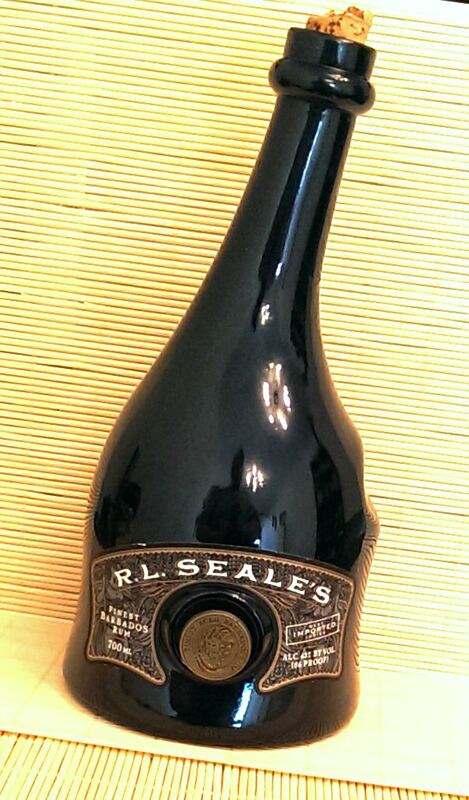 R.L Seale’s 10 Year Old Rum has a striking presentation. The bottle has an angled neck and what appear to be finger grips on one side….it is reminiscent of the leather flasks that sailors would’ve used many moons ago. It’s very tactile and everyone that has seen my bottle wants to pick it up and have a good look at it…….this always leads onto the obligatory taster! With presentation of this standard, the contents surely must equal or even better your expectations? The rum is a blend of molasses based rums whereby the youngest in the blend is 10 years old and it is aged in used bourbon casks. 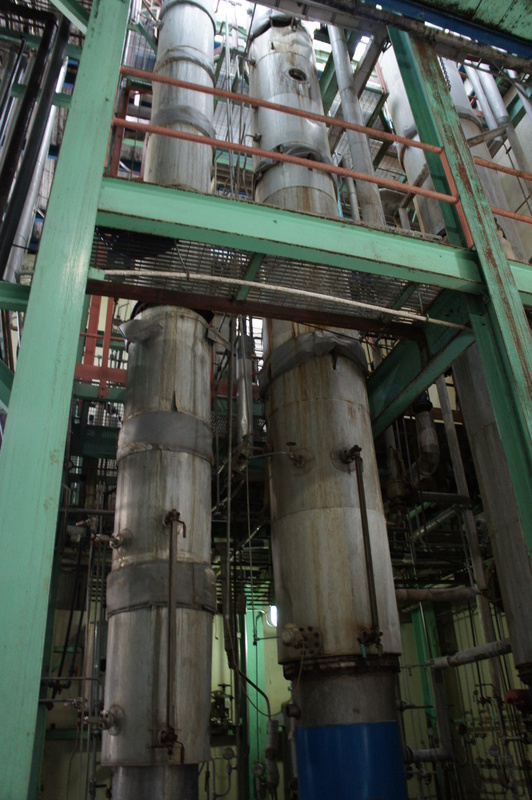 There are absolutely no additives used that will adapt or modify the taste characteristics of the rum. Richard Seale is a vociferous opponent of the process of adding sugars and flavourings to ‘enhance’ the flavour of a rum. This all works out for the consumer though as you know exactly where your money is being spent when you pick up a product from Foursquare Distillery and to be honest, the fact that you can pick up a bottle of R.L Seale’s 10 for below £33 if you shop around, almost makes you feel like a thief! In the glass: The rum displays itself as a beautiful burnished gold with intense darker flashes reminiscent of honeycomb. You can sense the aromas bubbling over the glass before you’ve even approached it. When you do get close the rum has a buttery and nutty aroma which is carried on a bed of vanilla. 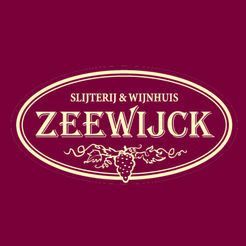 Time spent in oak is apparent as this is the blanket that envelops the other aromas and helps carry them. After awhile the more subtle aromas lift up and announce themselves. The sponge layer from a Bakewell tart with its marzipan is brought to mind along with creamy Scottish tablet. There is also a little red apple edge to the rum. This is a really pleasant and approachable rum that hints at the treasures to be found within the glass. In the mouth: Immediately you know that you’re not dealing with a sugary sweet rum as the initial entry is bone dry. Vanilla and red apple are the first flavours to reveal themselves along with a light hit of spice in the form of cinnamon and a little white pepper. This spice tickles my saliva glands and along with the accompanying red apple, assists in combating that initial dryness. The buttery, nuttiness now hits me and washes over my tongue in waves. It’s magical stuff. The oak is next to turn up to the party and this really kicks it up a notch. Subsequent sips (and there have been many at two bottles in) leave the buttery, nutty, vanilla fudge to build into a wonderfully warming and long finish. There is no harshness and no kick in excess of what you’d expect from a neat spirit and it’s hard to believe that this sits at 43% abv. 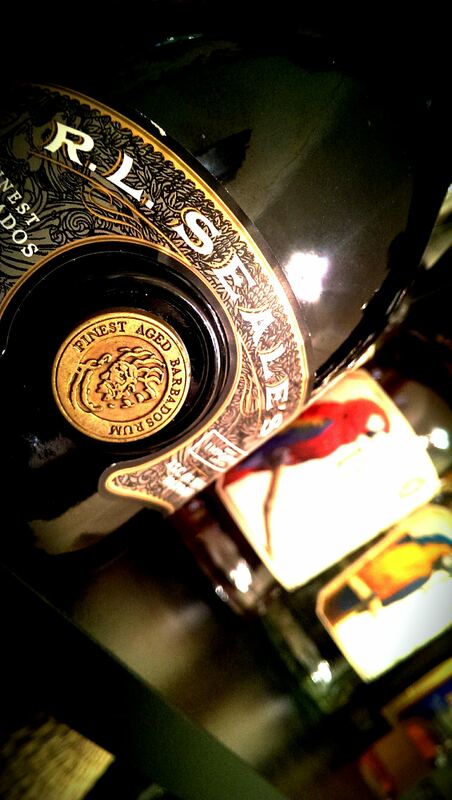 such is the perfectly balanced nature and well-rounded character of the rum. You really can appreciate the effort that has gone into making this rum. It appeals to many markets too. It is often mentioned that this rum would be a good introduction for whisky drinkers……well I have proof that this is true. I recommended the rum to my friend Scott who writes his own whisky based site (Whisky Moose, which can be found in my links), he picked up a bottle and he really enjoyed it. It’s my go to rum. When I look at my shelf and am overwhelmed with choice, I know that I’ll find exactly what I need in this bottle. It also, I find, makes an unbelievable Corn ‘n Oil using Taylors Velvet Falernum. I personally believe that anyone who has a passing interest in rum has to invest in Foursquare Distillery rums. If you don’t own a bottle, and heaven knows why not, you need to rectify this. You really are missing out on an uncommon treat…….flavour by the bucket load…..a true rum in every sense of the word and all for less than £33 if you shop around. 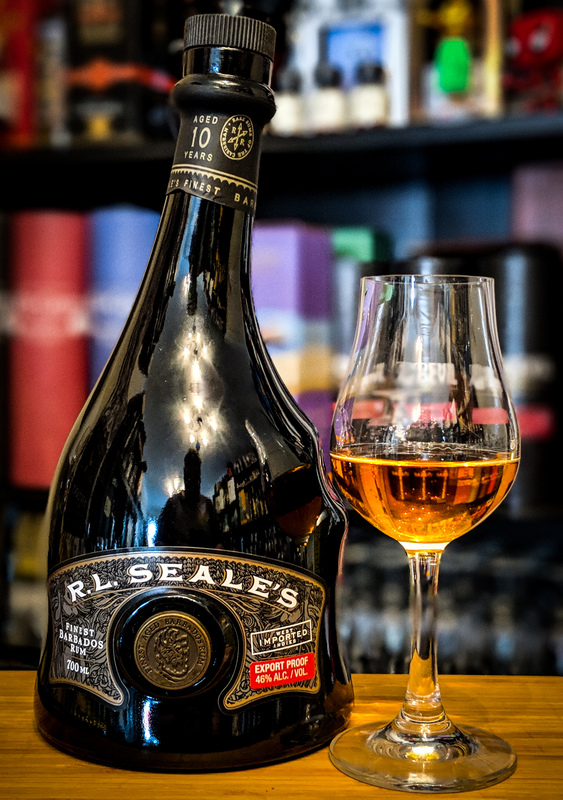 It hasn’t always been this way for me though…..I grew into my first bottle, initially preferring sweeter rums and finding none of those flavours in the arid desert dry, nutty and buttery R.L Seale’s 10. I still enjoy the sweeter side of rum, frequently, but my palate has developed to appreciate more and more of those differing styles of rum…..I firmly believe that it was this rum that opened that door to appreciation for me. 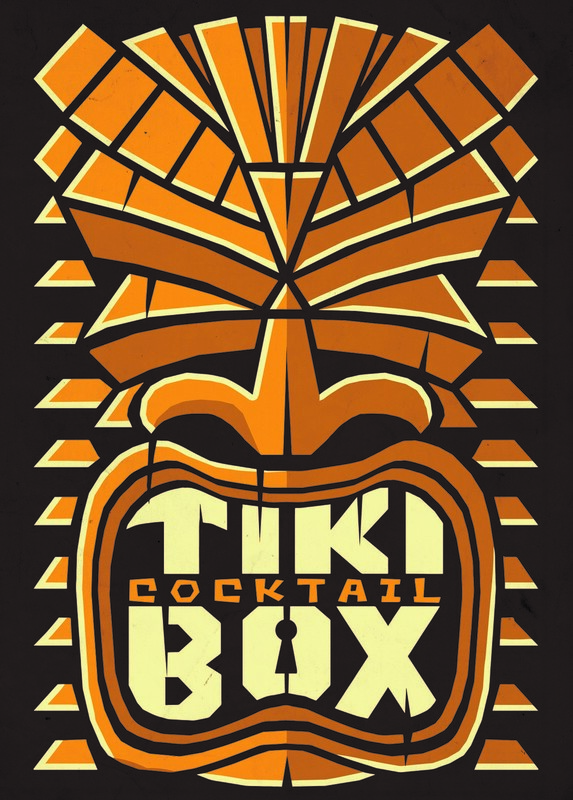 If asked to compile my list of desert island rums…..this would always be on the list. © Steven James and Rum Diaries Blog 2014. Unauthorized use and/or duplication of this material, both written and photographic without the express and written permission from this blog/sites author and owner is strictly prohibited. Excerpts and links may be used, provided that full and clear credit is given to Steven James and Rum Diaries Blog with appropriate and specific direction to the original content.